Nick Spalding: Get your hands on my BLUE CHRISTMAS BALLS on SATURDAY 2ND NOVEMBER! Get your hands on my BLUE CHRISTMAS BALLS on SATURDAY 2ND NOVEMBER! 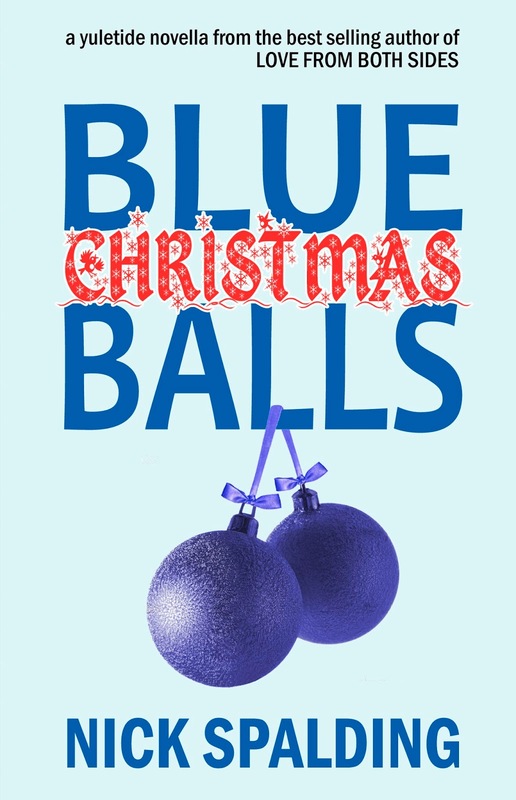 I'm delighted to announce that my new comedy novella BLUE CHRISTMAS BALLS will be released on the Amazon Kindle on SATURDAY 2ND NOVEMBER! On the day of release I will Tweet, Facebook share and post the links on this blog to where the book will be available for purchase. 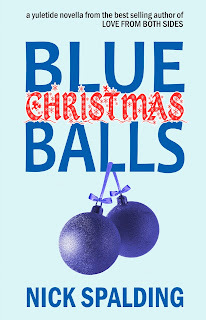 BLUE CHRISTMAS BALLS will be available in all Amazon territories, priced at 99p / $1.50 for the launch period. For you paperback lovers out there, I will be publishing a version of the novella at Amazon, and will provide details of how and where to buy it once it's released. One man. Three women. Twelve days to achieve Yuletide sexual glory! Christmas is coming and Matt Bunion is on a mission. Somehow, he's made the huge mistake of remaining a virgin well into his twenties - a grievous error he fully intends to rectify before the Queen's speech starts. What with strange requests to molest living room furniture, painfully inserted action figures, and an extremely festive lady of the night, Matt will be lucky to reach Boxing Day with his pride and manhood still intact. From the best-selling author of LOVE... FROM BOTH SIDES comes the laugh-out-loud story of one man's quest to make this Christmas go with a bang. This is a 23,000 word novella, 114 pages in paperback. Visit Notting Hill Press now to find out about other seasonal novellas available this Christmas!